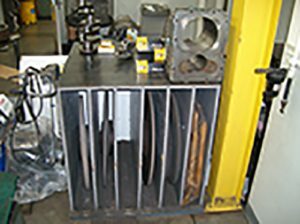 Engine Builder and Engine Pro present Shop Solutions in each issue of Engine Builder Magazine and at enginebuildermag.com to provide machine shop owners and engine technicians the opportunity to share their knowledge to benefit the entire industry and their own shops. Those who submit Shop Solutions that are published are awarded a prepaid $100 Visa gift card. 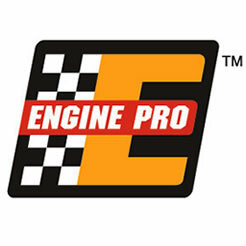 Engine Pro is a nationwide network of distributors that warehouse a full line of internal engine components for domestic and import passenger car, light truck, heavy duty, industrial, marine, agricultural and performance applications. They also produce engine parts under the Engine Pro name that offer premium features at an affordable price. Professional engine builders! Submit your Shop Solution at shop [email protected]. You must include your name, shop name, shop address and shop telephone number. Submitted Shop Solutions not published will be kept on file and reevaluated for each month's new entries. I use an 1/8˝ allen wrench to insert and extract the pilot while doing valve jobs on cylinder heads. I would frequently misplace this little tool between seats, so I started using a rubber band to keep it attached to the palm of my hand. This keeps me from having to look for it or even reach for it between valve seats. 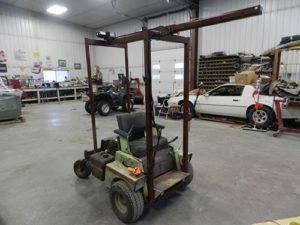 I took an old Grasshopper mower and made a power, zero-turn cherry picker out of it. The thing I really like about it is how maneuverable it is around the shop and outside. Another advantage is no legs sticking out front. I can drive right up to a machine to mount a block or whatever. The boom is run by a one-ton winch. When reassembling late-model Chrysler heads with roller follower/hydraulic lash adjuster-type lifters, I found that they bleed down much faster when turned upside down. When I used the vise it would take two or three squeezes and sometimes they would still be hard. I now use an arbor press with the lifter inverted. They bleed down in one shot. When I am balancing a crankshaft and need to add a small amount of metal in a spot where there is no hole, I use what I call “pixie dust.” Pixie dust is tungsten shavings that I’ve saved from machining slugs to size in the past. Drill a hole approximately twice the depth/weight of what you need to add. Now re-spin the crank. Then weigh and add the tungsten shavings. Finally, melt them with the TIG torch and blend in filler rod to bond it back to the crank. I’ve even done it with a MIG welder. The key is to add enough tungsten initially to make up most of the weight you’ve removed. The welding rod will be your added weight. You should have a little extra to fine tune out. This can also be done with nickel rod and a stick welder, but the gain is only something like 10% versus over 100% with tungsten. In our shop we have multiple crank grinder stones, and we were always tripping over them. We had them leaning up against a wall or the crank grinder, which is pretty reckless considering their value. Before we could actually have an accident, we built this cabinet to hold them safely. To make it multi-functional, we topped it off with a steel top to hold some projects and some quality parts. We also added some hooks to hang our crankshaft polisher from it. If you need to divide an item into an even number of segments, there is no need to do mathematical calculations. Take your measuring device and angle it across your work so that it is set on a number divisible by the number of segments you need. Mark accordingly. Example: you have a piece 7-3/4˝ long and you want four segments. 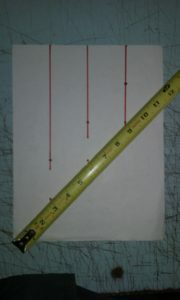 Angle your ruler or scale to 12˝ and mark at 3˝, 6˝ and 9˝. Repeat further down the piece and draw or scribble lines connecting the marks.